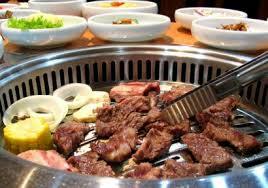 Today, we are going to look at Korean Table Manners. Actually, a lot of people wondered why the girlfriend seemed to meld into the Korean environment like a fish in water. After observing for a while, I realized it boiled down to behavior. Specifically, little quirks. This is a little like the Japanese equivalent of “itadakimasu”　(いただきます) to say that “I will eat it well”. This is considered to be basic courtesy especially when one is invited to a dinner in a Korean host’s house. I noticed the girlfriend always does this, and it was bizarre to me since I’m a chopsticks and spoon kind of guy, and in Singapore, we’re used to using both (one in each hand) at the same time whilst eating. 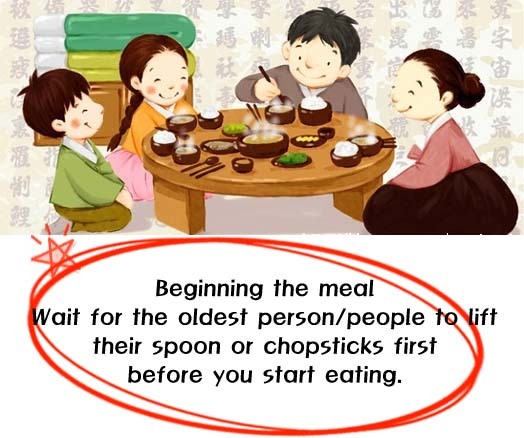 In Korea, however, I noticed the Koreans also always pick up one utensil, say, a spoon, to drink soup, and then they’d put it down right on the table and pick up the chopsticks to pick up the meat, for example. I think this is in line with Chinese Table Manners in the sense that we’re not supposed to leave chopsticks poking out of food because it signifies “offerings to the dead”. Anyway, this is the general rule in Korea. Spoons, Chopsticks should be laid flat on the table when not using. I do see some people leaving the spoon in soups from time to time though, so that’s okay too. The Chinese pick up rice bowls and use chopsticks to shove rice into their mouths, but for the Koreans, that’s considered poor table manners and reeks of crassness. It’s advisable to leave the bowls on the table and use spoons to pick up rice or soup. HAHA I bet this caught you guys off guard. I know this sounds terribly chauvinistic, but for BBQs, meat signifies wealth of a household in Korea (it wasn’t that long ago that the Korean War broke out and many starved so meat was considered a rare treat and that impression lingered on till today) so the “Man of the household” is in charge of the “meat cooking duty” (since in Korea, conventionally Korean men were the sole bread winners in the house and Korean women usually stayed at home to take care of children and the household, though that has changed as well in the recent decade with more Korean women attending universities and attaining financial independence themselves). 7. Finish the rice, but you don’t have to finish everything else! 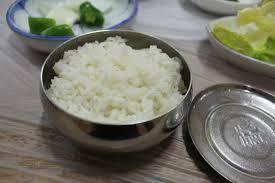 It’s considered to have “eaten well” if one finishes the rice, even if there’re still side dishes/main dish remaining. 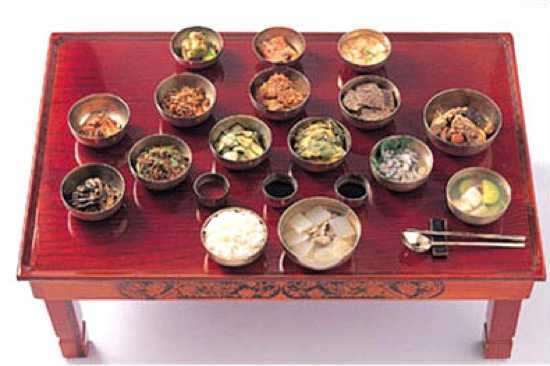 Some older Koreans may frown if you did the reverse instead, not touching the rice, but finishing up all the sides. I remember the girlfriend telling me about her friends from western nations doing that and the restaurant ahjumma laughed, telling them they should finish their rice. 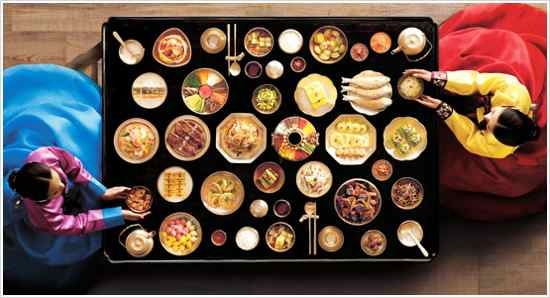 Look at the number of side dishes in a Korean table setting, *gasp* I don’t think it’s possible to finish all of it.